Face the Truth may be gone, but there is good news for syndicated television. Deadline reports The Doctors and DailyMailTV have been renewed for the 2019-20 season. 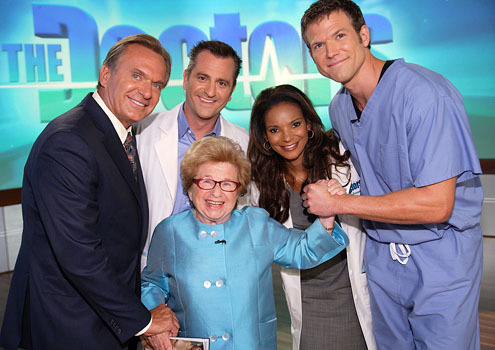 The Doctors features a panel of medical professionals, including Dr. Travis Stork, Dr. Andrew Ordon, Dr. Nita Landry, and Dr. Sonia Batra, who delve into medical questions, real-life stories, celebrity interviews, and more. Both DailyMailTV and The Doctors will return for the 2019-20 season. What do you think? Have you seen The Doctors and/or DailyMailTV? Will you watch the new season(s)? More about: DailyMailTV, DailyMailTV: canceled or renewed?, Syndicated TV shows: canceled or renewed?, The Doctors, The Doctors: canceled or renewed?